Newsday's Stephen Haynes selects this year's best of the best for the All-Long Island field hockey team. 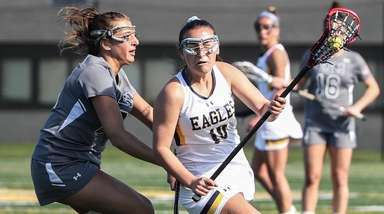 Connors became a full-time starter this season — after backing up her older sister, Erin — and immediately emerged as the anchor of a defense that yielded 11 goals. Patience, smarts and timing are the defender’s best attributes, coach Steve Sproul said. Connors, an All-State selection, played a great role in Manhasset’s 1-0 win over Garden City in the Nassau title game. The two-time All-Long Island pick was a key in Miller Place’s recent return to prominence. With “good game sense, body positioning and instincts,” coach Alana LaMorte said, the speedy midfielder had 16 points and led the Panthers to their first Long Island Class B title since 2005. Ercolano is also a champion equestrian rider. 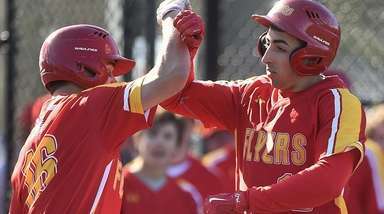 Helped lead the Marauders to a 16-3 season that culminated in a Suffolk Class A final appearance. 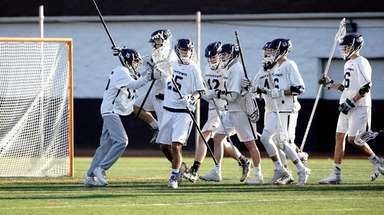 Harney had 16 points (10 goals), controlled the action in Bay Shore’s two-midfielder formation, and contributed to a defense that held opponents to 0.73 goals per game. She is verbally committed to Duke. Holder of several school track and field records, her speed made her a constant threat. The Brown University-bound senior moved from defense to forward and, after an injury to a teammate, shifted to center-midfield. 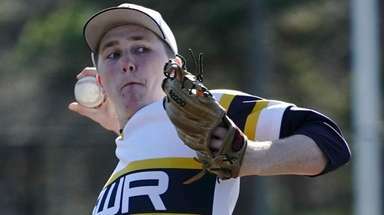 The All-State selection had 13 points and led the Seahawks to the Nassau Class B semifinals. A two-time All-Long Islander, Loscalzo (13 points) utilized her quickness and stick skills in becoming a deft two-way midfielder. She had two assists, including the pass on the winner in double-overtime of the Suffolk Class B semifinals. Emerged as an elite scorer and one of Long Island’s most complete front-line players. Her 16 goals were fourth most in L.I., and her 10 assists ranked sixth. Her playmaking ability helped lead Sachem East to a second consecutive state Class A title. She led a stifling defense that allowed only nine goals in 20 games and made it difficult for opponents to get shots on goal. And when they did, Parrella often was there, contributing 26 defensive saves. She also showed some offensive prowess, scoring five goals. Had 13 points and led the Trojans to the Nassau Class B final. 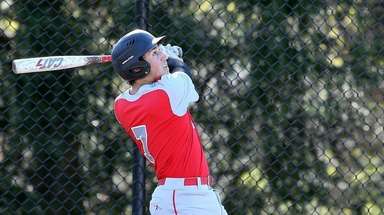 Piscopo, who is headed to Johns Hopkins, also was a member of three L.I. championship squads and made the 2011 state all-tournament team. Trombetta’s 27 points were second most in Suffolk, behind only her sister, Katie. She scored the deciding goal in the Suffolk Class A final, had two in the state semifinal, and assisted the deciding goal in the state final. She had 16 points to lead Mariners to the state Class C final. She assisted the winning goal in the Long Island championship and the tying goal in the state semifinal. Yevoli, with her breakaway speed and nifty shots, had 15 points. Amid the upheaval of her home being flooded by superstorm Sandy, she scored the lone goal in the Nassau Class A final, giving the Chiefs their fourth straight title. Newsday's 2012 All-Long Island varsity field hockey first team: Front row, from left: Katie Connors - Manhasset, Heather Ercolano - Miller Place, Victoria Piscopo - Garden City, Katie Trombetta - Sachem East (LI Player of the Year), Jillian Lee - Cold Spring Harbor, Kyra Harney - Bay Shore, Emily Wesnofske - Southampton. Back row, from left: Tina Moon - Sachem East Head Coach, Cara Trombetta - Sachem East, Tiana Parrella - Miller Place, Kristine Loscalzo - Rocky Point, Maddy Molinari - Manhasset (Nassau Player of the Year), Kayla McKeveny - Sachem East, Kristin Yevoli - Massapequa, Chelsea Palma - Sachem North and Steve Sproul - Manhasset.